I love a fancy dessert, full of technique and artistry – but this is not that dessert. This is simplicity. It’s also a great example of bright and joyous bounty of spring cooking. The first crisp rhubarb of spring combines with the apples, oranges and oats carried over from winter. It empties out the pantry while embracing the first fruit of the year (yes, yes, rhubarb isn’t technically fruit – but eggplant is, so who cares?). This dessert is perfect for all sorts of reasons. Not a big fan of baking, but you want something sweet? This is ultra-easy and really forgiving. Perhaps you’ve wanted to try using rhubarb to do something for some time, but you didn’t want to get into more complex dishes? The rhubarb itself is wonderful, but in combination with apple and orange zest its part of a sweet fruity trinity. Or maybe you’ve just got a massive rhubarb patch, and you just can’t imagine what you’re going to do with it all (again). No matter what the case, this is the dessert for you. This is the dessert equivalent of Monday night cooking; it comes together in a snap and leaves you satisfied. In fact, go ahead and do it on Monday night. We need more dessert on Mondays. Alright, I’ve convinced you it’s easy. Now here’s why you should really make this dish: it’s amazing. To be honest, I built this around the fact that I had a little less rhubarb than I thought, but now I wouldn’t have it any other way. The sourness of the rhubarb shines against the sweet and familiar apple, and the orange zest adds incredible depth and fragrance without overpowering. Another key to a crisp is, obviously, the crispy upper layer. In my opinion, you want the earthiness of the oats to stand out a little, which is why this crisp calls for much less sugar than some recipes out there. After all, if you’re looking to drown rhubarb in sweetness, you might as well not be using it. Oh, and in case you’re wondering (I know I was) this is a crisp because the topping contains oats. Take the oats out and it’s a crumble. Replace the topping with biscuit dough and it’s a cobbler. This is eeeeeeeasy, so don’t stress about it too much. The fruit amounts are ballpark, so don’t be afraid to go a little over or under depending on what you have available. You could also experiment with other fruits to compliment the rhubarb – berries would work very well (though you might want omit the orange zest or switch to lemon). I will say one thing about the sugar – you could really use anything between 3/4 cup and 1 cup depending on the sweetness of the apple, the tartness of the rhubarb, and your own personal tastes. I think that a rhubarb crisp should still have some of the tangy tartness of the rhubarb intact, so I err on the lower end. You can eat this hot or cold, on its own or with cream, ice cream, whipped cream… you get the picture. GOOD NEWS:All things being equal, it’s a fairly guilt-free dessert. There’s a lot of fruit here, which is good. There is still a fair amount of butter and sugar, but it’s spread out well and you’re not getting too much in a serving. Note that the nutritional info shown does not include ice cream, cream, etc. BAD NEWS:It’s dessert, so don’t overdo it. That’s about all I’ll say. This is a relatively small-batch shortbread recipe. It's easily doubled (or more). Miner's lettuce and mizuna are unique and flavourful greens, worthy of starring status in a salad, especially beside a simple, fresh, and unique rhubarb and poppy seed vinaigrette. Let them eat cake... without the toasty oven. With fresh cream, raspberries, rosewater, and plenty of decadent cocoa powder, this cake is definitely a keeper. Salmon that's deliciously simple, yet incredibly elegant. This adaptation of a popular classic features a few amazing twists for a truly memorable meal. Butter puff pastry, Pacific dewberries (or blackberries), heirloom apple, rosemary, and a little raw sugar are all you need for these rustic, delicious tarts. A 30-minute recipe that puts a spin on the classic pork & apple combination with neck steak, sage browned butter, Pink Pearl apples, and roasted radishes. This unique and delicious take on bacon jam combines crisp bacon, caramelized onions, and the zest and juice of Seville oranges. A simple and timeless bit of comfort food given a kick in the pants with tart Granny Smith apple, aged cheddar, and the secret to an amazing, crispy exterior. 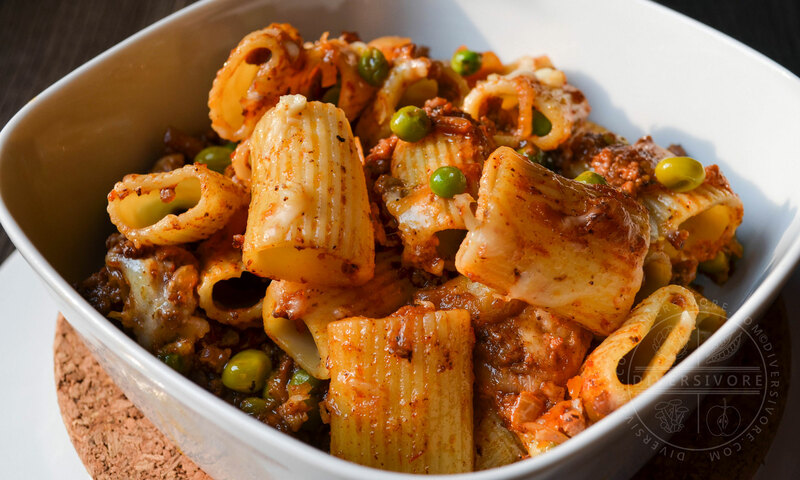 A delicious kitchen-sink meal for those crazy weeknights, this made-from-scratch meal skips the boxed stuff and delivers a supremely tasty pasta dish. Simple, delicious grilled cheese gets a flavour kick (not to mention a visual one) from marbled rye, pickled sweet peppers, and red onions. Seville Orange and Lemon make for an intensely flavourful, wonderfully rich dessert. The chocolate Graham wafer crust and fluffy meringue topping don't hurt either. What do you do when you want hearty winter gumbo AND you want to keep things local and seasonal? Well, this. Crab, Andouille sausage, sunchokes, and much more. That's right. Decadent, rich, chocolaty cake that just happens to be made even better thanks to roasted beets. Sounds crazy, but it makes for amazing cake. Pacific Dover Sole is a delicious, sustainable fish species that's great to work with. Here, it's paired with lemon, ginger, celery, and forbidden rice. With a few spectacular tweaks and a little science, even a guilty-pleasure like broccoli and cheddar soup can be made remarkably guilt-free. This gourmet-meets-rustic recipe unites lean beef tenderloin, earthy simmered einkorn (heirloom wheat berries), fiddleheads, and the fiery punch of horseradish for a decidedly different but entirely delicious spring meal. A good rhubarb and apple crisp has a lot of the charm and flavour you'd find in a good pie, but none of the hard work. But don't be fooled by its simple preparation - it's nuanced and amazingly tasty. Combine all of the filling ingredients together in a large bowl and mix thoroughly. Pour into a 7 x 11 (or 9 x 9) glass or enamel baking dish and set aside. Combine the topping ingredients (you can use the same bowl as before without cleaning it) and mix thoroughly. Crumble evenly over the filling. (Optional) Sprinkle a little extra brown sugar (as finely as you can manage) on top to help it brown a little. Bake for 35 minutes. Remove from heat and allow to cool slightly. Serve with ice cream of fresh whipped cream. You could actually go anywhere between 3/4 cup and 1 cup on this dessert, so adjust to your own personal preference for sweetness, and based on the size and sweetness of the apple you use. Personally, I think it's important to let the taste of the rhubarb shine a little, so I don't like this overly sweet. I did not know about the crisp, crumble, cobbler thing, but now that you mention it … of course. I love, love, adore crisp! I love it more than pie, but please don’t tell that to pie. When I was a kid, my brothers and I used to pick rhubarb out of the back yard garden and eat it out of hand, so whenever I see the word, I’m conditioned to pucker and my eyes water a bit. But I’ve never had it with apple and orange.I like that you’ve been moderate with the sugar. Thanks Jeff! My mom would pick it out of the ground and eat it as a kid too… but she would sit there with a bowl of sugar to dip it in. I totally know what you mean about the pie thing – I mean, I love pie, but when you see how good and how SIMPLE crisp is… it’s pretty easy to get hooked. You really should try it with the apple and orange – and I know this might sound odd, but a sweet/perfume-y crisp apple like a Fuji works (in my opinion) way better than a tart Granny Smith. I would have your lovely delicious crisp over any fancy overly sweet dessert! Love it, can’t wait to go back to Canada, just for the rhubabrb and it’s use in crisp, crumble and cobbler all equally yummy (in Italy, or at least in and around Rome, no one uses rhubarb 🙁 ). Aww, well thank you! I think there’s a lot to be said for simple-and-sweet. And I do hope you make it back in time for wonderful rhubarb! This is one of my favorite desserts! Love the simplicity of a crumble. I’m envious of your love of artistic, challenging desserts my skills (especially with pastry) are just not there yet… One day, life goals! Thanks for sharing the recipe and the reminder to bake a crumble for Sunday dinner dessert! Well, I may like fancy desserts, but we’ll have to see whether or not I can pull one off for the blog or not. So far my tastes have been for the simple and underappreciated (like this, or my chocolate mousse). In any case, I’m glad you enjoyed this! Nothing beats a great apple crisp to end a great dinner. Simple ingredients make wonderful desserts, and this sure looks and sound great!! I totally agree – fancy is nice once in a while, but simple desserts let great ingredients shine through. Thanks for commenting! Love, love, love rhubarb desserts! I’ve never tried adding orange zest to my rhubarb crisp. Next time. And I’m with you on erring on the side of less sugar. Orange zest works REALLY well with rhubarb, and the tart/sweet taste of the apple just brings the whole thing together. And I’m glad I’m not the only one who likes to dial it back a little on the sweetness! I think crisps and crumbles are up there contending to be my favourite desserts! I love that you added orange zest to yours: very fun and light! They’re so charming and simple and… perfect! I don’t know anyone who doesn’t like them, and they come together so easily. Thanks for the compliment – the orange zest really does jump out and add a unique element. Sean, this looks delicious!!! I love crumbles, crisps and cobblers. It was my mother in law that told me you DON’T dare put oats in crumble, eek! Since then, I have learned the difference. I have never ever had rhubarb in crumble or crisp and I bet it is absolutely wonderful. Daaaaang I sure do love the sound of this, buddy boy. I totally saw rhubarb at the supermarket this morning and I asked Nick if he’d like it, but he sort of shrugged, so I moved on. I think I might just have to grab it next time, and make this! Well thank you kindly. I think lots of people THINK they don’t like rhubarb… and those people need to try this crisp (or my strawberry rhubarb jam with balsamic vinegar). This looks great. Plus, crisps/crumbles are just about the easiest dessert to whip together and still be a crowd-pleaser. Plus with a scoop of vanilla ice cream like you have there? Yummmmm. They are easy, and they’re SO satisfying! I’m glad to know I’m not the only one who enjoys the rhubarb hunt (though now I’ve gotten my own happy plant to harvest in my back yard). Thanks for commenting, and thanks for the compliments! Love the simplicity of this dessert, and it’s easy to make. It’s a winner for me. Thanks Liliana! It is awesome when a dessert is satisfying but simple. Fancy is nice once in a while, but this is pure comfort food for me. Sean, I don’t even know if I’m going to be able to get it all out, my thoughts on this recipe. First off, I love that you have put yourself in the place of your readers and assured them of how easy and ‘doable’ this recipe this is. I also love the way you’ve presented the nutritional information in such a fresh, informative and vibrant way. We NEED this to be the way of the future where we are providing sound information but in a fresh and non-judgmental way. I applaud you. I’m not sure if you see yourself as a maverick or not but I find so often in the food and wine industry we just are having such a rough time adapting to the times. What you are doing is cutting edge and I love it!!! Now, personally “rhubarb, apple and orange zest – the trinity of sweet fruit.” You poetical minx you! I love how you’ve blended the words and the ingredients together to bring out the artistic side of cooking. This is the crux of blogging for me! Rhubarb crisp recipes are a dime a dozen and although we have no copyright on a list of ingredients – THIS – is how we truly make it ours, an expression of our hearts. Thank you so much for sharing, caring and commenting on FBC. You are such a breath of fresh air. Wow, Kellie I don’t even know what to say. Thank you so much for your incredibly kind words. I don’t know that I consider myself a maverick, but I do have very strong feelings about the way things should be done, and a very strong desire to go out and do them. I love what I do and I love sharing it with people. I must say, I totally agree with you about writing and recipes – anyone can throw a recipe up on the web (whether or not they actually came up with it is a whole other story…) but the writing, thought, and care that surrounds it is something else all together. Thank you again. Honestly, you made my month. I’m so glad to know that you enjoy the work I do and the recipes I present. It’s so exciting when spring produce starts showing up at the market. I love the sound of this! Just like you said, it’s the perfect way to clear out the pantry and winter produce, while celebrating rhubarbs arrival. Yummy! I know just what you mean Natalie. I mean, not only is it gorgeous, it just screams “SPRINGTIME!” Thanks for coming by! I’m pretty content that this is a guilt-free dessert because it looks really great. Also, I had no idea about the cobbler vs crumble depending on the topping. Brilliant!